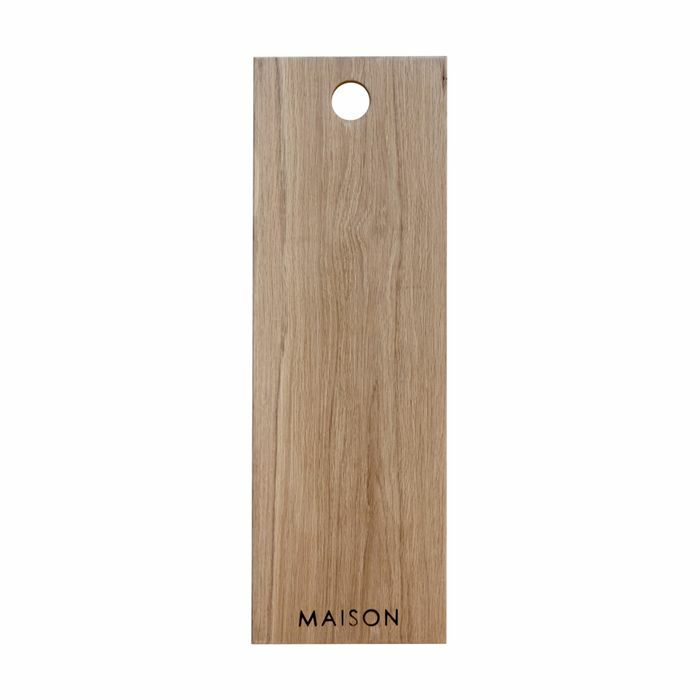 Boards are made from solid American white oak, each designed for a particular purpose and your convenience. The Maison logo is burnt on with a branding iron. Available in a Baguette Board, Serving Board and a Pizza Board – view Size/Colour options below.